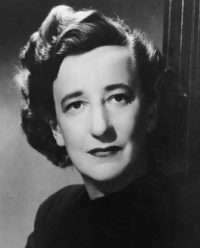 In 1953, the Department of State removed John F. Melby from the Foreign Service because of his affair with acclaimed American author and political activist Lillian Hellman, who was suspected of being a Communist Party member. Hellman was famous for her 1934 Broadway play, The Children’s Hour, which dealt with lesbianism, and The Little Foxes. As a screenwriter at Goldwyn Studios she earned the incredible sum of $2500 a week and like many others she supported the International Brigades in the Spanish Civil War. She described herself as a “casual member” of the Communist Party but said she attended meetings from 1938-40. 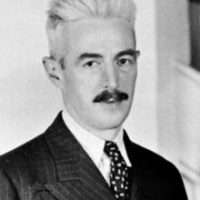 Lillian and John’s 40-year affair took place while Hellman carried on a 30-year affair with fellow political activist and writer Dashiell Hammett, famed author of The Maltese Falcon and The Thin Man, seen at left. Melby and Hellman began to drift apart at about the time Hellman was called to testify before the House Committee on Un-American Activities (HUAC) in 1952 . Melby was then forced to testify before the State Department’s Loyal Security Board because of his association with Hellman. 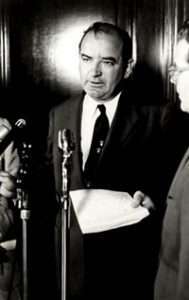 The Department officially removed Melby from the Foreign Service on April 22, 1953. The Cold War Romance of Lillian Hellman and John Melby, published in 1989, chronicles an era of heightened anti-Communism in the Department while shedding light on a highly covert affair. Charles Stuart Kennedy interviewed John F. Melby in 1989. You can read about another famous screenwriter with political views, Clare Booth Luce. Q: What happened, as far as the security thing? Was this connected at all with the McCarthy business? MELBY: It was out of the McCarthy era of suspicion. It was in the very early stages of it. The charges were made and the charges were laid. And I was informed of the charges but I was never allowed to know who had made the charges. I was never permitted to confront those who had accused me of this, or had accused her of anything. 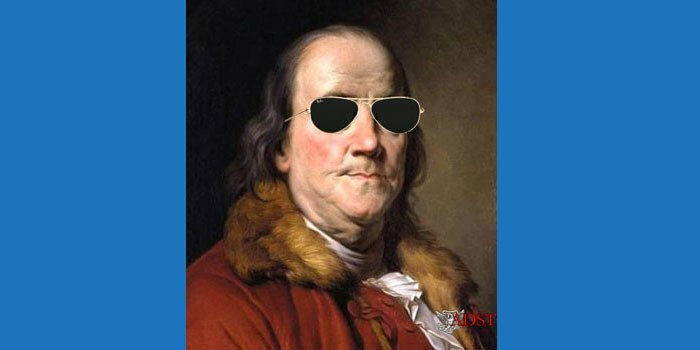 It was a true star chamber operation. And it would, many years later, after Bob Newman finally got the FBI reports, that there was no substance to the charges against Lillian. She had been accused by one of the FBI informants of being a Communist, who later turned out to be a liar. He’d accused everyone in the world of it. MELBY: And she was a controversial personality. Q: How did this impact on you? Did you get people to say that you were being tried? Q: Can you give me a feeling about the security people in the Department of State? Did you have any reading on what kind of people they were? MELBY: They were a bunch of finks. They were McCarthy stooges, all of them. Q: One had the feeling that Department Security at the time was a group of people that would have very little in common with the normal Foreign Service officer. They were more likely to come out of the precinct policeman type of thing. MELBY: That’s pretty accurate. They didn’t know what it was all about. They were administering what was, at this time, a new branch of law, namely administrative law. And most lawyers, except for two or three, four maybe; no lawyer had to have any experience with administrative law. There wasn’t anything to go on. My lawyer was very conservative, well-known practitioner before the Federal Communications Commission. And he just sat there, during my hearing, with his mouth hanging open. He didn’t know what to say. He couldn’t answer, he couldn’t ask a question. He didn’t understand what was going on. What kind of legal proceeding is this? And I was just sort of on my own, because he didn’t know what to do. He had an assistant, a young man named Ted Barron, who was a little more knowledgeable and tried to salvage things. In the end, finally, I was suspended. And I decided to get rid of Scharfeld and get another lawyer, who turned out to be Joseph Volpe who had been general counsel of the Atomic Energy Commission. 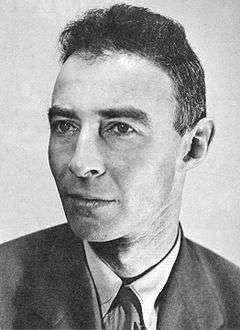 He would handle all of the security problems for the Atomic Energy Commission, including the man who was then one of his clients, [renowned physicist and “Father of the Atomic Bomb,” who served as advisor to the AEC but whose security clearance was controversially revoked in 1954, seen at left] Robert Oppenheimer, one of the best men in the business. But by this time, it was too late. Joe did a magnificent job on it, but the Board obviously wasn’t even listening to him. You could tell from their questions. He would talk, put forth an oration, and they weren’t even listening. They didn’t care. They weren’t interested. They had already made of their minds: I had not told the truth, I was lying. I was therefore a security risk. There was never any question of loyalty in my case. It was just pure security. I had lied. I hadn’t told the truth. Therefore, I was not reliable. Q: What were they claiming you hadn’t told the truth on? MELBY: Lillian. She was a Communist. And I’d said I didn’t believe it. I was lying because their informants from the FBI said that she was. But they wouldn’t let her testify. They wouldn’t let me know who had made the charges against her. I didn’t know what I was defending. I could either take their word for it, which turned out to be wrong, or I could recant. Well, I wasn’t going to do that. Q: How did the State Department react? MELBY: By this time, no one was speaking to anybody else. Q: So this was only one incident in a whole series of investigations? MELBY: Sure, there were hundreds going on. And nobody was talking to anybody else. You’d walk down the street and you’d see somebody who you knew charges were laid against; you’d cross the street so that you wouldn’t have to speak to them. It was an incredible period. 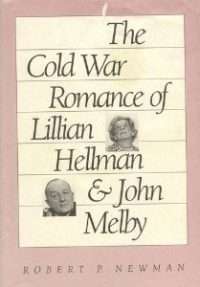 Q: I saw this book, A Cold War Romance: Lillian Hellman and John Melby, by Robert Newman, University of Pittsburgh. Is this an accurate book, for somebody who wants to understand the era? MELBY: I’ve been over that manuscript a half a dozen times, word for word. It’s accurate…. Q: I realize that now you’re living in Canada. But if a young person comes to you and asks you about a career in the Foreign Service today, how do you reply? MELBY: Well, I couldn’t give any opinion as to the merits of what goes on in the Department now, because I don’t really know. I’ve been out now for 25 years. But I do have one piece of advice. That is, forget this idea of the romance of the Foreign Service, the diplomats in the trench coats. You’ve got to ask yourself one question, I think, particularly if you’re married. And you’re going to have to keep it in mind if you’re not married, for when you do get married. And that is, believe it or not, most people like to have roots someplace, like to belong someplace. If you’re going into the Foreign Service, you’re going to move every 18 months to 4 years from country to country and culture to culture. You’re never going to belong anyplace. You’re not going to be anywhere. And when you’re ready to retire, you really don’t have any place to go back to. Now, are you prepared to live that kind of life? As for me, I loved it. That’s the way I lived; I still live that way. I would hate to have to belong someplace. But if you don’t want to do that, then forget it. Particularly if your wife doesn’t like it, if she’s miserable being rootless. But those of us who are footloose and wander the world and live in song, and when we die, we die, and bury us wherever we are. I love it.